Do your career plans for 2013 include a return to the workforce or a career transition? You may be considering a change in order to take advantage of the tremendous opportunity that currently exists in Alberta. Perhaps it is a move to a new geographic location, a raise in pay, a more satisfying work schedule, or a promotion that is prompting your desire for change. Maybe you would like to take on a new challenge; further your education or training; utilize your skills, talents, experiences, or interests in a different area; or start a business. 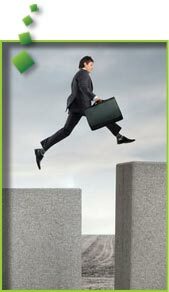 Whatever the reason behind your career transition these three steps will help you achieve career success in 2013. Evaluate: Where am I now and where would I like to be? It often appears that people just fall into the perfect job. We all know people like that, right? Have you asked them how they got their seemingly perfect job? Often they will tell you that they were in the right place, at the right time, and connected to the right person or people. There is certainly some truth to what they are telling you. It is important to remember as a career transitioner, a work searcher, or a career planner that being in the right place, at the right time, and with the right people does take some effort. It takes self-awareness, research, confidence, and perseverance to land that perfect job. Approximately 80% of the jobs that are available are NOT advertised traditionally (on an internet job bank or in the newspaper). We have to be a lot more creative in finding out about the jobs that are available (or not quite available) and what it will take to land them. Knowing what your interests, values, abilities, education, training, experience, and skills that relate to the labour market are is an excellent first step. Ask yourself what industries, companies, or occupations could make use of your unique qualifications. Perhaps you can create your own niche if you don’t find what you are looking for already established. While occupational demand information can be helpful in identifying what types of opportunities might be worth searching it will not be the only information you rely on to make your career decisions; resources such as professional associations, LinkedIn, industry specific publications, and company websites can be excellent sources of information as well. Alberta Enterprise and Advanced Education provide the Alberta Regional Occupational Demand Outlook to support you with exploring various occupations. This forecast of current labour market information highlights 140 occupations and their expected growth over the period of 2012 – 2016. Formulate: What will it take to get me where I want to be? You have probably heard someone say, or even said yourself, that a failure to plan is a plan to fail. Having a plan of some sort is pretty important for most things in life, even if your plan is a loose plan. A dream without a plan is still a dream. What are willing to do to make your dream come true? What would you like to be doing? Where would you like to be doing it (what geographic location)? Who would you like to be doing it with (what industry, company, department, etc)? Why is it important to you? When would you like to start? How are you going to make it happen? Your plan is just that, your plan. It might be a five, ten, or twenty year plan or it might be a one month, six month, or one year plan. It might be to land a job, complete a post-secondary program, start a business, or travel abroad. A plan is a little like a travel itinerary. It guides and directs your activities and provides you enough structure to get you to your destination and home again at the end of your adventure. Please don’t misunderstand me here. I know that things don’t always go as expected. I also know that plans change for all sorts of reasons. That is why most itineraries include a little bit of wiggle room so that you can spend some extra time shopping, swimming, or sleeping! Do you know that it took me until December 2012 to finish the University degree that I started in September 1996? Sixteen years was a long time to finish something that should have taken me two years. Along the way some pretty cool things happened. In March 1997 my beautiful, talented, intelligent, and fun loving daughter was born. Her arrival changed my life – and my plan. I postponed my business / management studies and went back to work with an organization I had previously worked for. As a result I went back to school and completed a Rehabilitation Services diploma. That course of action had never been in my plans but as it turns out it was the combination of business and rehabilitation education in addition to my experience working with individuals with disabilities that landed me my job in career development. I didn’t really know about career development before I was offered a job working as an employment specialist. That was almost twelve years ago. Now, all these years later, I have found a way to combine business, rehabilitation, career development in a way that works for me and my family. Along the way there have been a few moves, a few jobs, and a few moments of uncertainty. I didn’t always know exactly where I wanted to be which made formulating a plan to get there near impossible. When I knew I would be moving to Edmonton I knew exactly what type of job I wanted and I went about finding it. I had a plan. When I decided to start Career Designs for Life and return to school to finish my Bachelor of Management degree I developed a plan to make it happen. The plans you make along the way are just as important as your big dreams and are equally deserving of your attention. Most of the fun, and learning, is in the adventure along the way and not simply in the destination. Integrate: How can I put my plan into action? Making the decision to pursue a course of action is one thing, putting a plan in place is another, and actually taking the steps necessary to achieve that course of action is yet another. Think about all of the things you have already decided to do, and have achieved. You have accomplished all you have because of your motivation, determination, and action. You perform countless actions every day that you don’t put much thought in to. There are other actions that require a little more time, a little more thought, and a little more energy. Career success requires time, thought, and energy. No doubt you have all sorts of cheerleaders (some of them a little louder than others and some of them a little quieter) encouraging you and wanting you to succeed. You can count on your cheerleaders to help you put your plan into action, support you when things get tough, and celebrate all your successes, achievements, and accomplishments with you. There are all sorts of resources, services, and supports to help you put your plan into action. Seek out guidance, inspiration, and collaboration from others who have done what you want to do. Try it out, ask questions, listen, observe. Celebrate every success and pick yourself up from every struggle. Take charge of your career, your dream, your plan. Be the best you can be. Make your mark. Get ready for your best year yet. Wishing you a wonderful new year filled with abundance, joy, and fulfillment. May 2013 be your best year yet! Thank you for your continued support of Career Designs for Life. For more information about Career Designs for Life services please feel free to contact Paula directly at paula@careerdesignsforlife.com or 780.589.2245.